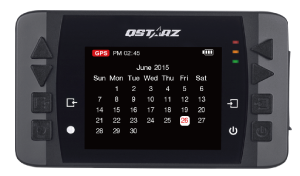 QSTARZ LT-6000S GPS-Laptimer for motorcycle and Cars !!! 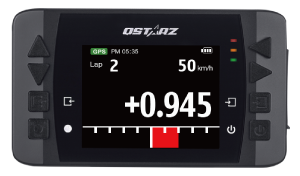 Qstarz 6000S is an innovative and automatic Lap Timer based on GPS technology. It can fit kinds of racing mode such as Drag Race, Circuit Race, Rally Race, or Performance test. Real-time measure and analyze your racing data every 0.1 second Accurately indicate the way meeting the true performance. Measuring every run automatically without pressing any button. 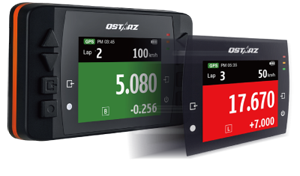 Drag Race timing by 4 preset Profiles such as Speed, Distance and Time. Compare and analyze lap times, time difference, speed, or G-force. Recce function of Rally Race can generate your Roadbook. Set splits to mark speed, location, angle, danger point, etc. Visualized GPS logger design commonly as a dash-speedometer. Record your trips and alert your speed / driving status. Green means faster and Red means slower. While racing, you can immediately get lap info and ride your best. Beside built-in global circuits in the device, now it is smarter by auto detecting nearby circuits and also viewing the completed circuit thumbnail. Real-time predicting the lap/split time difference by graphic bar and pursuit your best lap time. Easy to access your each record by the calendar typed History. Choose the date you want to look up the record’s lap detail. Easy and efficient! Standard Accessories: USB Cable, Car Charger, mounting bracket, CD, User guide. With the free software DASHWARE (http://www.dashware.net) you can combine the recorded lap data from your LT-Q6000 with the lap video in only a few easy steps. So you can on a easy way display data such as speed? ?, brake, acceleration, G-forces, lap time, etc. in your video.